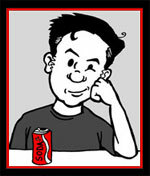 Calamity Jon Morris runs the art blog DC Fifty-Too in which a wide variety of artists have presented covers of the comics they would've done if DC had let them pick any characters from their history. Here's my entry for the Legion of Super-Pets. The Super-Pets have reunited and are ready to take on the cases the super-humans miss in all corners of the DC Universe. Krypto the Super-Dog leads his teammates Streaky the sassy Super-Cat, Beppo the silly Super-Monkey, and Comet the steadfast Super-Horse in this series of single-issue, all-ages-friendly stories. The people of the DC Universe have learned they can count on their heroes. Now the animals of the DC Universe are learning that when they need help, they can call on the Legion of Super-Pets! 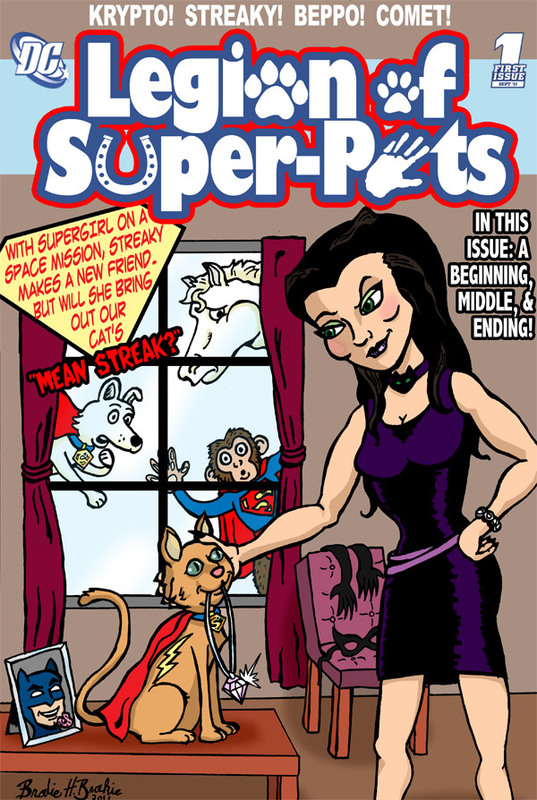 Sometimes the Super-Pets get themselves into trouble too (like in this first issue when Streaky gets tricked into pulling some thefts for Catwoman). Several issues will spin off of events in other DC comics (though reading those other comics will never be necessary) as the Super-Pets clean up trouble off to the side of what the super-heroes are dealing with. Comedy, adventure, and adorable animals team up in the Legion of Super-Pets! Since a lot of costumes were redesigned as part of the relaunch, I have drastically altered Krypto and Streaky's outfits - getting rid of the yellow collars and replacing them with blue ones instead. I thought about also giving them really clunky boots, but they wouldn't stand for it.